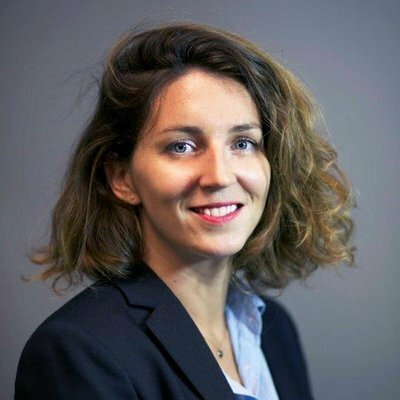 Mathilde Delignou is Project Manager Open Innovation and partnership at GRTgaz, one of the leading European operators in natural gas transmission. What is uncommon is that the open innovation activity lies within the Purchasing Department. Mathilde explains to us what this peculiarity proves to be a success story. 1) Hi Mathilde, could you describe your entity, and its mission related to open innovation ? In France, GRTgaz owns and operates Europe’s longest high pressure natural gas transmission network. It contributes to managing networks in Germany and provides gas transmission appraisal and consultancy services in Europe and worldwide. Develop its transportation capacities to meet the needs of the market, and strengthen the security of gas supply in France and in Europe. In 2016, GRTgaz decided to call on external partners in order to identify innovative solutions that answer, and solve problems we are facing in our activities, and to promote the implementation of these innovations within the company. Since then, we have been setting up innovative partnerships with Start Ups, SME, laboratories, schools in different areas (technical, digital, HR, supply chain, IoT…). Current experiments have even given rise to real successes for our partners who have been able to deploy their solutions within GRTgaz, and also develop their business with new customers. Our particularity, is that the Open Innovation process is mainly led by the Purchasing Department, even though we are closely working with the R&D department. Our ambition is to bring innovation to GRTgaz’s businesses by soliciting external ecosystems. And finally, helps on setting up the « best » conditions » to build a long term relationship between GRTgaz and our innovative partners. 2) Can you share a few achievements with us? Since 2016, GRTgaz implemented 16 partnerships with SUPs, SME, laboratories or school. This comes to a global partnership business of 700 000 €, that finances projects launching (studies, POCs, tests..). 25% of these partnerships have already lead to an industrialisation within GRTgaz. Innovation projects can be related to technical issues, such as for example, the development of specific IoT that must be compliant with explosive atmosphere. SRETT, a 25 employees company, and a specialist in IoT for gelocation of people or goods, has took up this challenge (this is a world premiere !). Innovative companies can also bring us solutions to cross issues we are facing (HR, digital, logistics…). Last year, Consignity, a very small company, developed a container accessible by an RFID device that allows GRTgaz to overcome the mobilization of an employee to receive deliveries from our carriers. This means that our field experts can fully focus on their activities, and do not have to wait and organize the receipt of goods. 3) What are the advantages to have an open innovation team located in the Purchasing department? First of all, our innovative partners, or partners to be, might become suppliers. It makes sense to involve Purchasing Department as soon as possible, to manage relationships, as for traditional suppliers. In addition, the “traditional purchasing” process can not be applied for this kind of projects. Indeed, the partners are often small structures (SUP / SME) in development. These companies have specific concern: they need to develop their turnover, manage their cash flow, optimize the management of internal resources … We must therefore offer them a simplified purchasing path and appropriate contractual conditions, while ensuring risks of failure on our side. I take this opportunity to remind you that innovative companies keep the ownership of the solutions they offer to GRTgaz. This is very important because it allows them to offer their innovations to other customers and therefore to grow faster. For GRTgaz, an independent partner, is a reliable partner in the long term. The Purchasing Department is legitimate to implement this type of process, necessary for Open Innovation, and business development with innovative structures. From innovative partners’ point of view, this particularity is much appreciated too. A POC can be contractualized without involving the Purchasing Department, because most of the time, financial stakes are not very important. Actually, having an Open Innovation team within/close to a Purchasing Department saves time ! 4) What are the drawbacks? I don’t see drawbacks. I only see opportunities for companies. At GRTgaz, we discussed this point : should the Open Innovation activity be part of the R&D&I department, or should it stays at the purchasing department? Since 2016, Purchasing department leads the activity, and works in tandem with the R&D&I department. We set up a cross management, and a steady reporting that closely includes those 2 departments, and other operational departements. There was not any reason to change the open innovation’s team belonging, as the current organisation gives fully satisfaction to both internal and external partners. 5) What are the main developments you want to achieve in 2019 regarding Open Innovation? In 2019, main goals are to scale up implementations and to be more business oriented ! The latest offer enables innovative companies to provide answers to specific issues (technical or transversal) of the company through the Open Innovation Challenges web site. A partnership with GRTgaz is at the key. The launch of the 2019 edition is scheduled for March 26! We hope that this edition will be as fruitful as the previous ones.